Working for Google? You won't be working on Windows. Working for Google? You won’t be working on Windows. Google and Microsoft have had some odds over the years, but none so much as this. 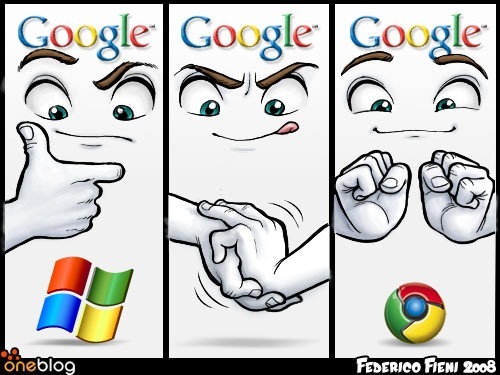 The Financial Times is reporting that Google is moving away from the Microsoft Windows OS for use on company systems. “Many people have been moved away from [Windows] PCs, mostly towards Mac OS, following the China hacking attack“. Anyone who has been around computers for any length of time knows that more viruses and spyware are directed toward Windows PC’s than any other operating system. It’s a simple matter of numbers. When you’re the biggest fish in the pond, you’re an easy target. So what are people using at the Googleplex these days? It appears that the choices are between Linux and Mac OS. If someone wants to use Windows, it “now requires CIO approval”, according to one employee. The change doesn’t seem to phase many, once they see the choices that remain. In fact, some employees are eager to implement the change, citing a greater sense of security within Mac OS versus their Windows machines. And what of Chrome OS? It makes sense that the forthcoming OS of choice would be appearing on desktops around the office. There’s no official word yet, but we’ve contacted some sources at Google and we’re asking the same question. For the time being, we’re glad to see Google embracing Open Source, and we’re eager to hear if Chrome OS will be peeking out anytime soon. Read next: MetroTwit: a slick Windows Twitter client you're going to want to try.